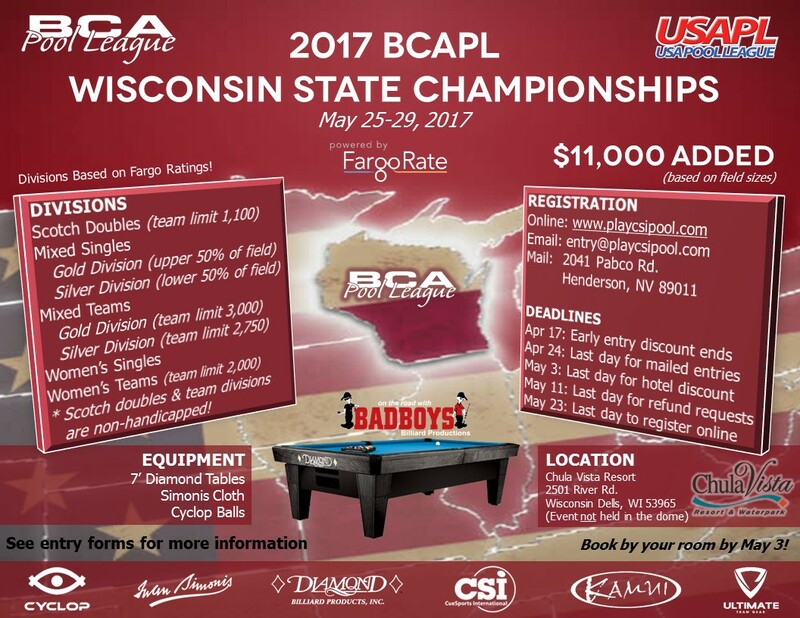 2017 BCAPL WISCONSIN STATE CHAMPIONSHIPS! Watch Recorded Matches on YouTube! 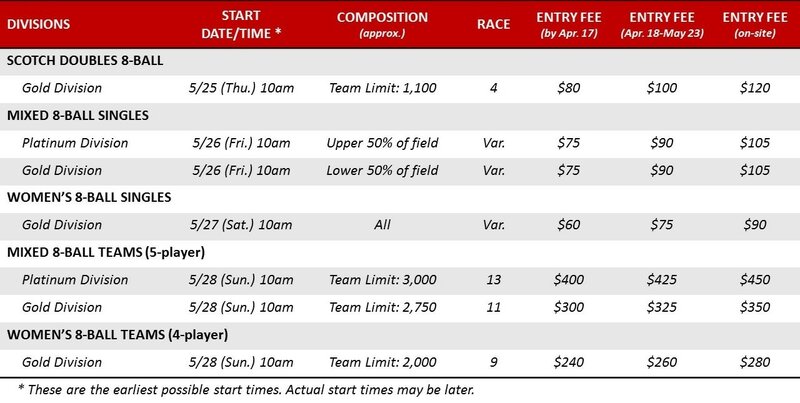 Book by May 3, 2017 to receive the special group rate of $99/$129.